1. Place motorcycle on center stand. 2. Because of the extreme flexibility of this mounting system there are many different mounting configurations to consider. Generally speaking farther forward will be better for riders with longer inseam lengths. However the width of the fairing can be a limiting factor, it is far more important to be comfortable than getting maximum forward stretch. A lower mounting position can be more relaxed, but can compromise lean angle during aggressive cornering. 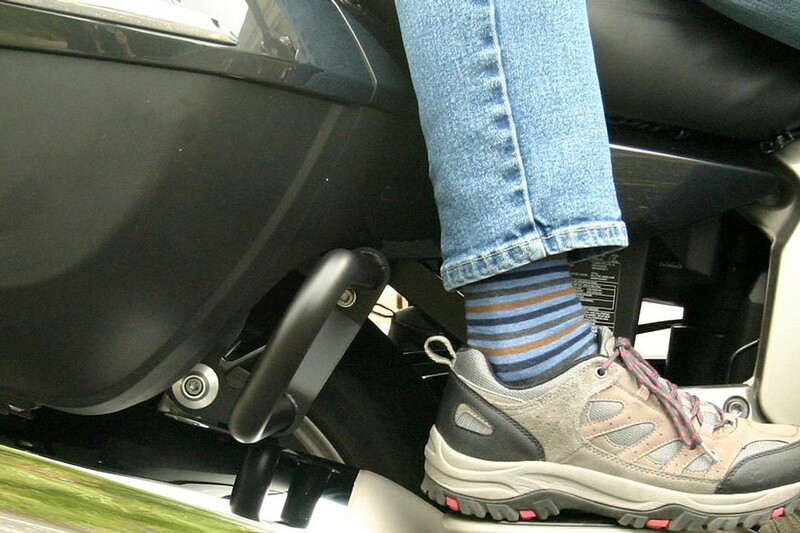 A higher mounting position will provide more lean angle and may be more comfortable for riders with shorter legs. One good way to determine your best foot peg position, is to sit on your bike when on the center stand and prop your feet up with something like blocks of wood, bricks or upside down buckets and try various heights and positions until you find something that is comfortable for you. It is very important that you are able to rest your feet on something. Just holding your feet up in space will not give you a true test of how that particular position will feel when your feet are resting on the Highway Pegs. 3. Once you have identified a position you like, note which tubes of the engine guards are nearest to your foot. This will be a good place to start. The next thing to determine is whether you want your pegs to fold back or upward when stowed. For rearward folding the “A” peg will be on the right side, the “B” peg on the left. If you want your pegs to fold upward, the ”A” peg will be on the left and “B” on the right. Since the ball joint can swivel 360 degrees about its axis you may mount to bars that are vertical, horizontal or on compound angles. The mounting bracket can be either above or below horizontal bars, or in front or behind vertical bars. 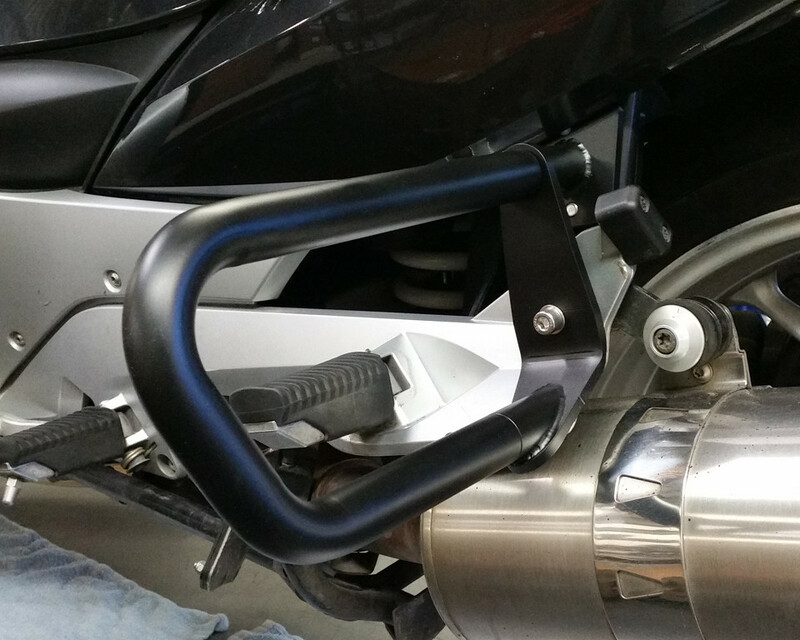 When you have found a position that works for you tighten the 4, 10-32 Allen screws on the mounting brackets making sure the pegs are symmetrical on both sides of the motorcycle. 4. The ball joint allows for the fine adjustment of your pegs. Rotate the ball joint until the peg pivots from horizontal to vertical rearward, lightly snug up the 4, 10-32 Allen screws on the ball joint cap so that you can still move the ball back and forth, and up and down. Most riders will be most comfortable with the pegs canted slightly upward at the outside, and slightly rearward. 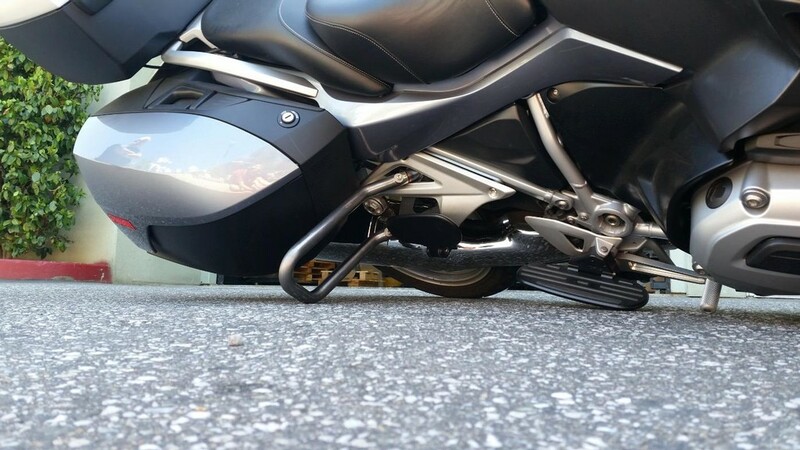 This is because you feet swing on an arc from your hip and the bottom of your foot is neither parallel nor perpendicular to the center line of the motorcycle, but a compound angle. 5. When you finally find you desired foot position, tighten all the 10-32 Allen screws on the ball joint as tight as you can with two fingers, do not over tighten. Next, slightly relax the 10-32 screws on the mounting bracket caps, and tighten the ¼” setscrew in the middle of the mounting bracket cap until it touches, then turn ¼ turn more. Now retighten the 4, 10-32 screws in mounting bracket cap as tight as you can with two fingers, do not over tighten. 6. After the first 100 miles, check all the screws for tightness. Re-adjust anything if necessary. When you are sure that everything is where you like it, take each 10-32 Allen screw, one at a time and apply Blue (medium strength ) Loctite, and retighten until all of the Allen screws have been done.